Another earlier start and a quick trot to Albert Wharf. We joined the queue for the tickets only to be serenaded by a choir. 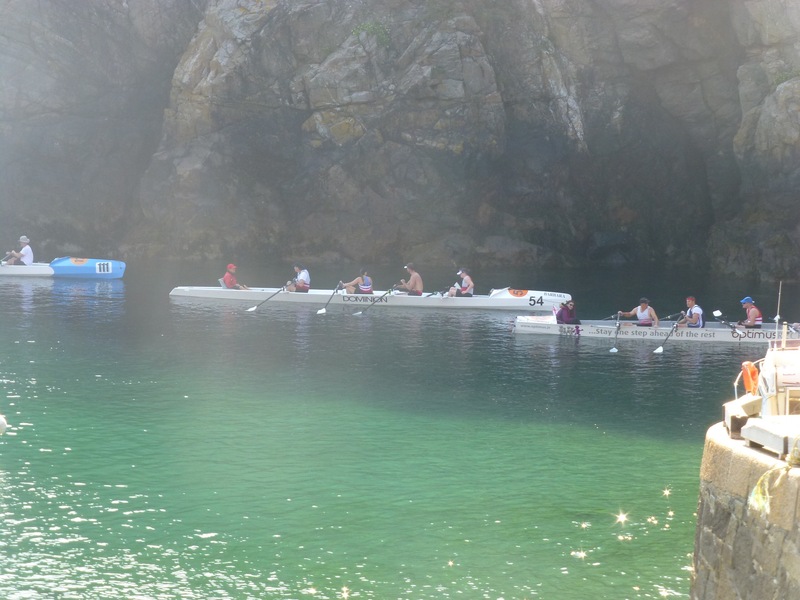 This time not the retired life boat seniors but a group of young guys ( turns out it was a 21st) dressed in Sark caps, shorts, some held up with braces , blazers, holding bottles of beer ( 8am remember ) and water bottles which appreared to hold not water but something much more swiggable ! Oh it was to be a fun journey. 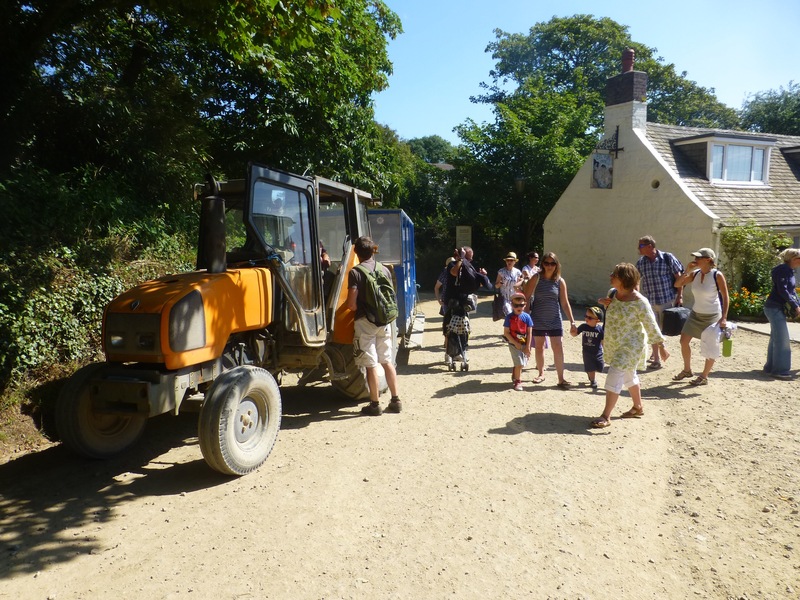 Arriving at the wharf in Sark you can pay 1£ to go in the tractor train to the top of the hill and the village. It’s a very steep climb so the tractor got my knees vote. 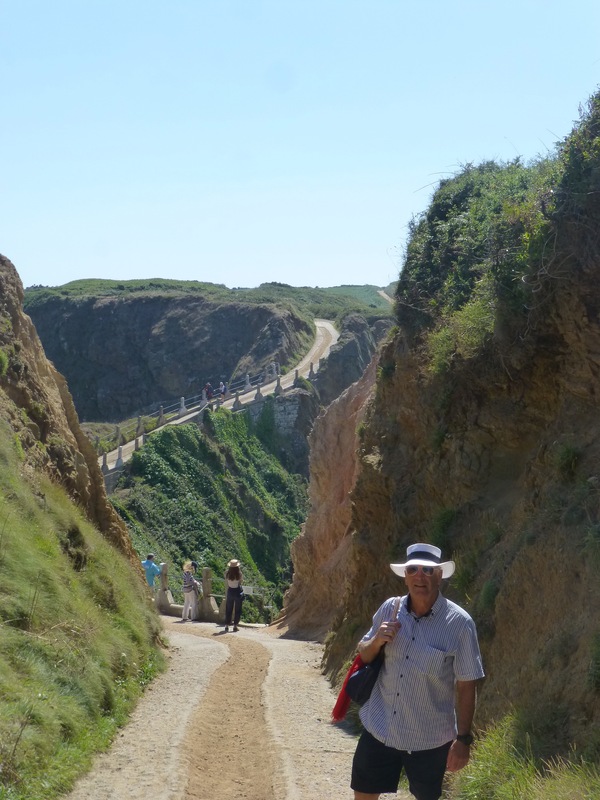 Sark is unique and quite lovely with some of e very best views you could see. It’s also like stepping back in time. The place is special because it has no cars. A few tractors , horse and cart and bikes. It’s so lovely and quiet. No paving. All dirt lanes zig zag across the green fields with sweeping views and glimpses of ocean. Lots of little stone cottages and with a population of 600 a few shops, cafes, PO but nothing too touristy. 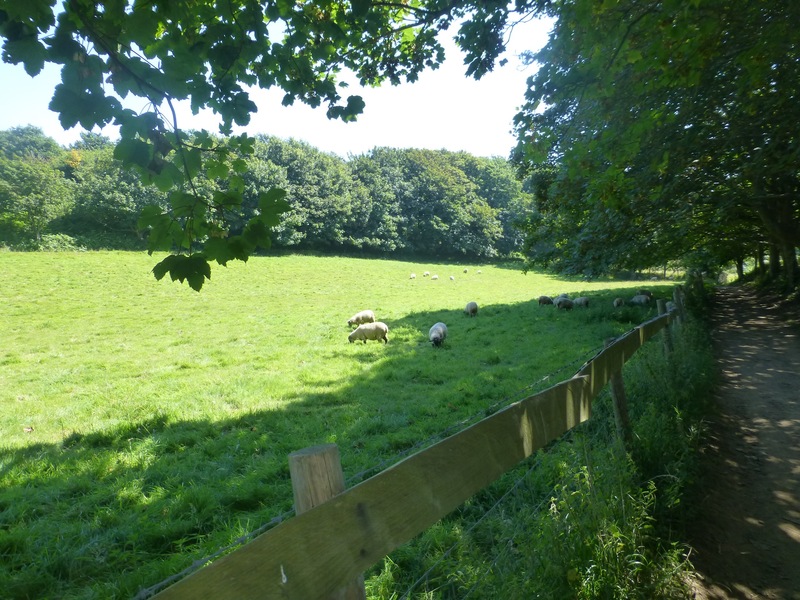 We wandered along leafy lanes rounding corners to find sheep or a horse. 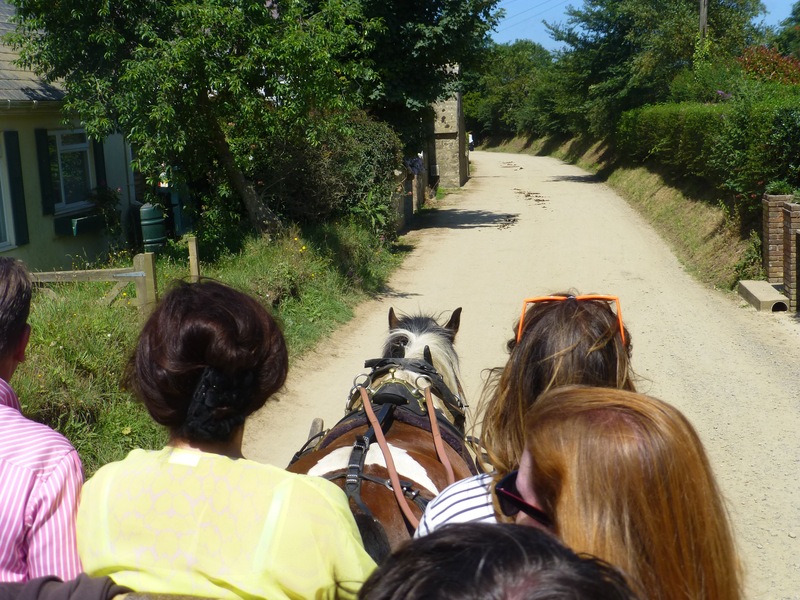 We took a horse cart tour and loved the feeling of clip clopping down the quiet lanes. 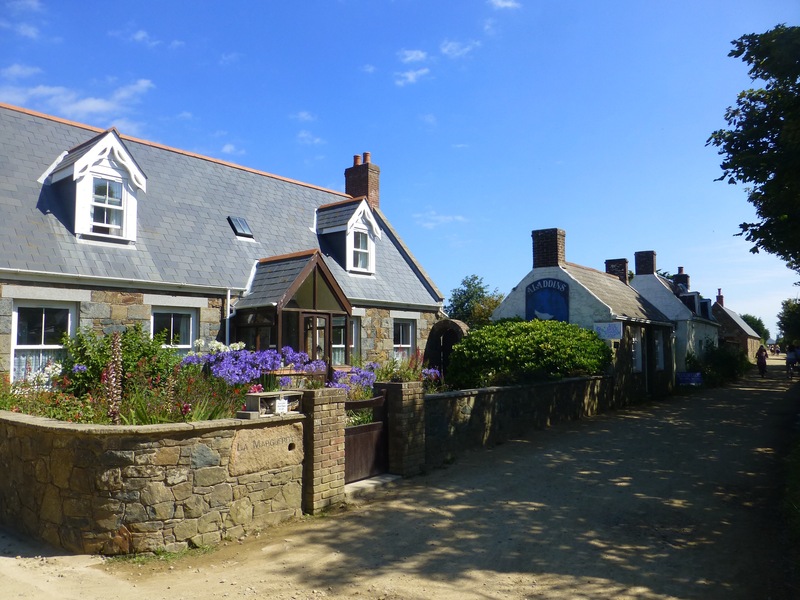 We met a couple on our cart who have lived in Jersey, an hour away, for their whole lives and had never been to Sark before. First time for everything. 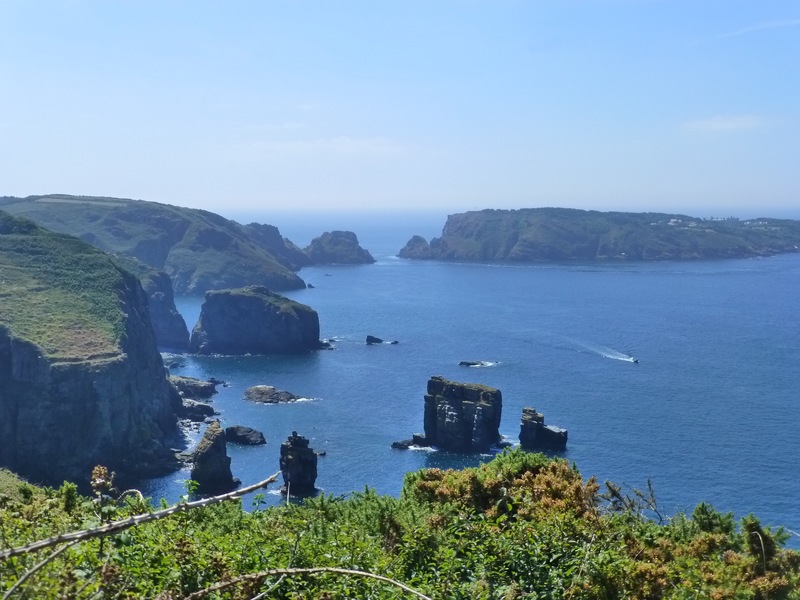 Sark is also unique because it is a dark island meaning they have no street or public lighting. Star gazing would be amazing. More stripes, more Rose!with crab ! Lots of walking but well worth it. We happened upon a soccer match on the village green and it was like a scene out of Midsomer Murders. After lots of walking and our cart ride we made our way back towards to wharf for our 5pm return. We hadn’t seen anything of the birthday boys and the few girls they had managed to find but then we heard them. In the beer garden closest to the top of the village. Not sure if they get further in or not. They were very second hand by then and we had to laugh when we heard one hapless lad Josh had done something worth reporting to the Police. They were at the pants pulling down stage when we saw them. They did make the ferry though and were really not bad at all on the way back. 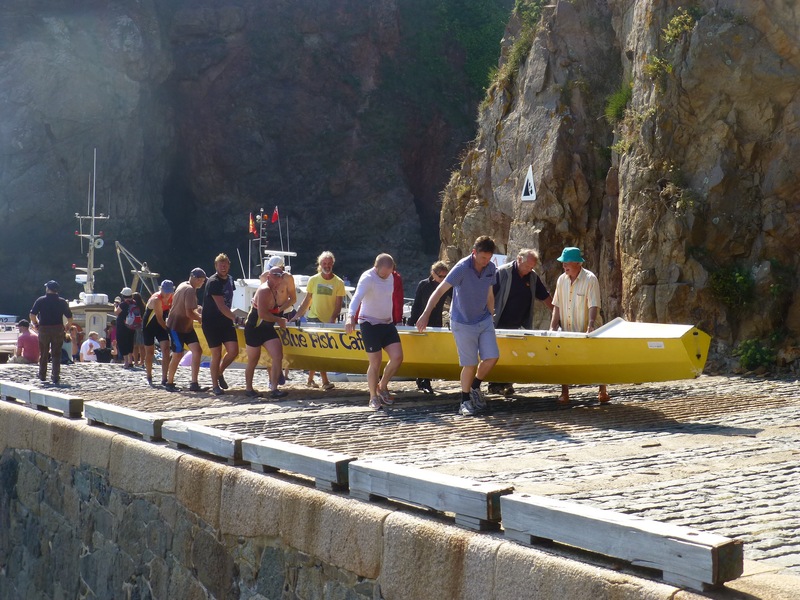 We spotted much healthier lads at Sark harbour – crews who had rowed over from Jersey 22 km away. They came rowing in as we were about to board. Much clapping and I’m sure a few drinks were coming their way. Steve was starting to feel a bit apprehensive at the thought that by next Wednesday he could be in the water swimming an almost equal distance ! So back on the boat and now out for dinner. It’s exhausting being on holidays. It looks fabulous Fran.. what a gorgeous place. 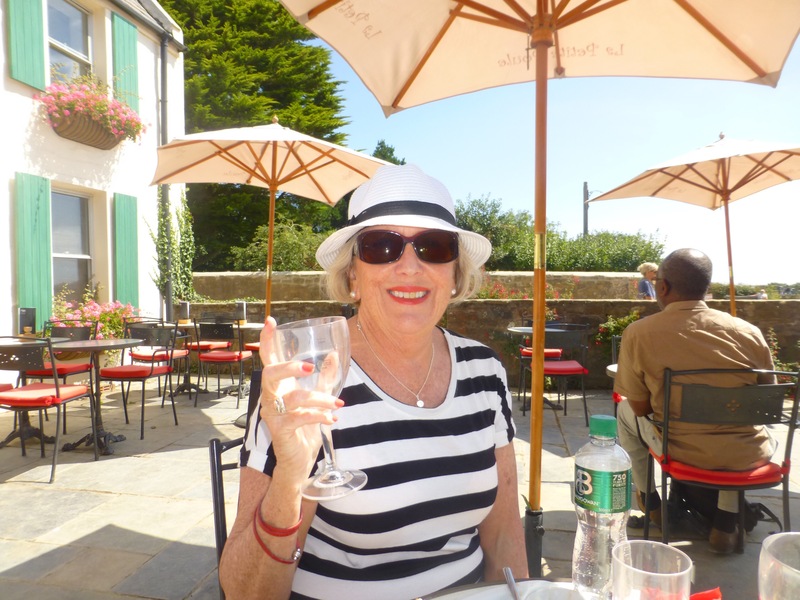 I had already put the Channel Islands on the bucket list but now even more so! PS it’s a shame you’re not enjoying yourselves!